After spending long hours in a small and stuffy studio, I was finally able to post my third workshop on Udemy. This one is called “Advanced Project Management (1/4) – Intro to Project Management and Project Initiation”. This is the first part of my new four-part course series titled “Advanced Project Management”. I have created a coupon that allows my connections to watch this workshop for free (regular price $180). All you need to do is comment something along the lines of “Interested” or “Yes” and I will PM you the link. My only request is that you leave your review on Udemy. You will be prompted automatically by the website as early as 5-10 min into the course. A great American scientist and a 1954 Nobel Prize in Chemistry winner Linus Pauling once said, "If you want to have good ideas you must have many ideas. Most of them will be wrong, and what you have to learn is which ones to throw away." 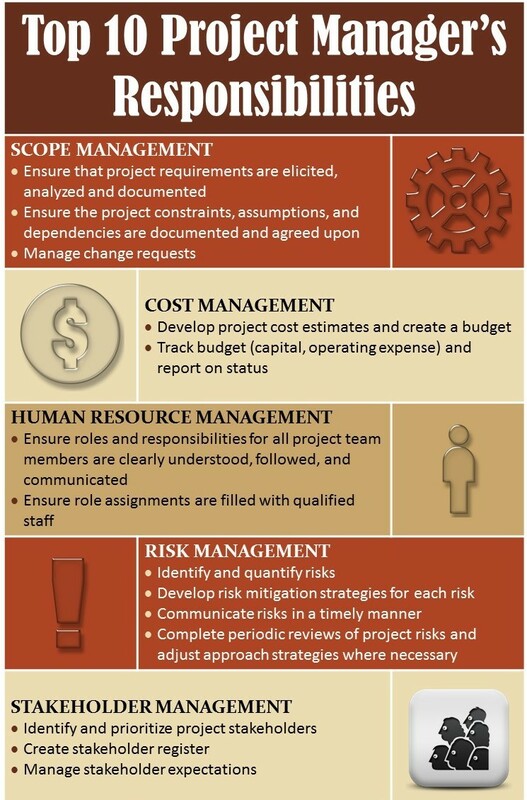 One of the key principles of project portfolio management is to generate as many project proposals as possible in order to improve the portfolio selection. The idea here is that the more proposals one has in front of her, the easier it would be to build a higher quality portfolio of projects. Let us try to illustrate that point with a couple of examples (see Figures 1 and 2). 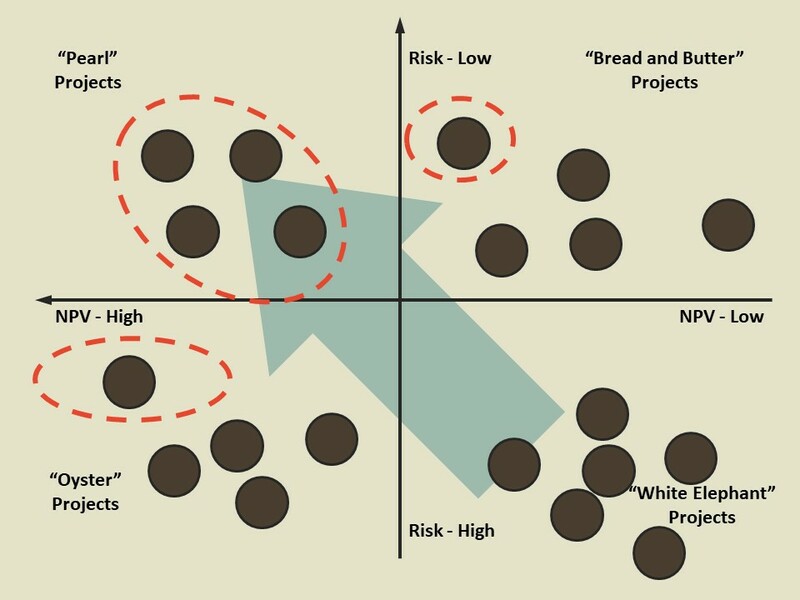 Figure 1 shows the bubble chart diagram of several project proposals imposed on the risk-reward diagram. let us assume that we need to select six projects out of all the proposals in front of us. In this particular example once we eliminate the always unwanted "white elephants", i.e. the low reward and high-risk projects, we have exhausted our choices. In other words, we must add all of the remaining ventures to our portfolio including two "pearls", two bread and butter" and two "oysters". Let us compare this situation above with the portfolio shown in Figure 2. Instead of having only eight candidates we now have twenty: four "pearls", five "bread and butter", five "oysters" and six "white elephants". After getting rid of all the low reward, high risk projects and an addition of four low-risk, high reward ones, we are now free to mix and match the "oysters" and the bread and butters" to our liking. 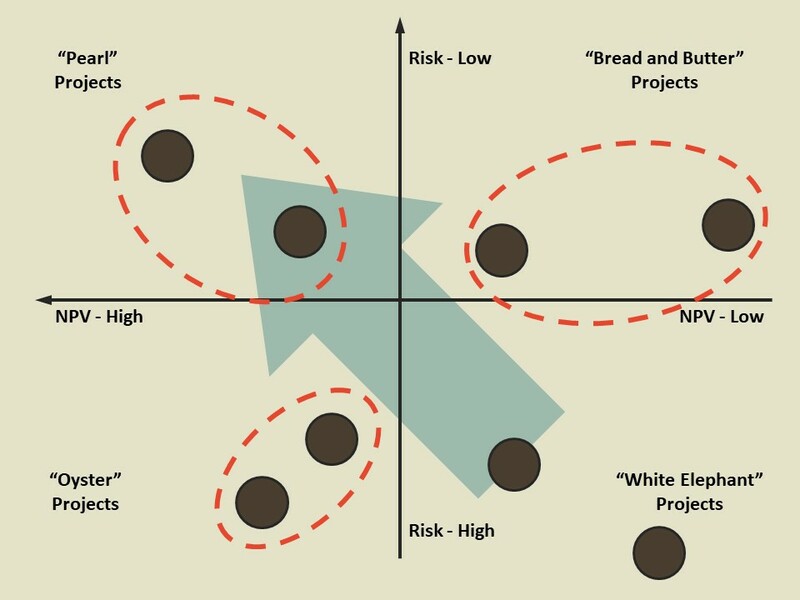 For example, we may decide to select two highest return and lowest risk projects from the "bread and butter" and "oyster" quadrants respectively. Comparison of these two charts clearly demonstrates that having more project ideas to start with we were able to select a more attractive portfolio overall. Article - Don’t Worry! We Will Break the News Gradually to Him! This true gem of a story happened much earlier in my career when I was working for one of the largest international banks. Basically, it explains how NOT to conduct estimates-related negotiations on your projects! Director: Hey, I am going to assign you to this new regulatory project. Keep in mind, this is a high-profile endeavour; our main client is the Senior VP of our company. Keep in mind, he hates us, the IT guys. His nickname here is “El Diablo”! Me: (incredulously) What?! Three months? But now that he finds out the truth he will be mad! Director: Don’t worry about that. I have a plan. We will proceed by breaking the news to him gradually! Me: (sarcastically) Do you really think that he got to the position of Senior Vice President of one of the largest financial institutions in the world by being an utter idiot? Director: (slightly offended) No!!! Why? Me: How can a normal person NOT notice the difference between a three-month project and a nine-month project? Director: (somewhat disappointed) I see… Yes, that is a bit of a problem, isn’t it? Have you ever been forced into similar situations by your bosses? How did you handle them? CEO: Yes, Jamal, I have heard about project management and all that. But I am still not sold on it. Can you explain to me – and I only have a couple of minutes - the value someone like you brings to the organization? Me: (unexpectedly) Ever cooked a meal? Me: Imagine that you need to fry a couple of eggs. Would you use a shopping list and step-by-step cooking instructions to accomplish this task? CEO: No, of course not. That is a very simple process. Me: Exactly! Get a couple of eggs, some butter, salt, pepper and a frying pan. Easy, right? Me: Now imagine you need to cook a fancy five-course meal for ten of your friends. Do you think you will benefit from a detailed shopping list and comprehensive cooking instructions? Me: Since you only have one stove and a pair of hands, do you think you will need to plan all of your cooking tasks in such a way that you don’t end up with a cold steak and undercooked potatoes by the time your guests arrive? Me: (loudly) That is exactly what we do. 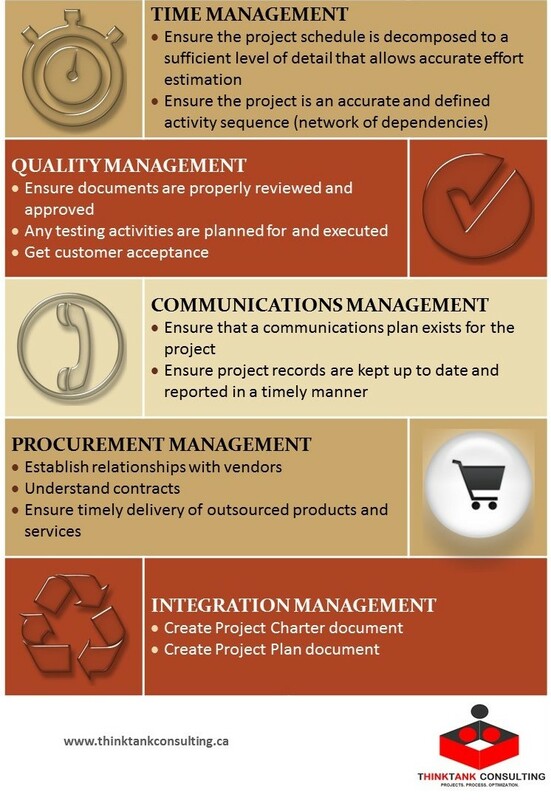 We define the scope in detail, confirm that you have all the ingredients and time your tasks in such a way that you get the entire product at the deadline (inaudibly) I guess, we will chat about risks, costs, quality and other project management knowledge areas some other time. 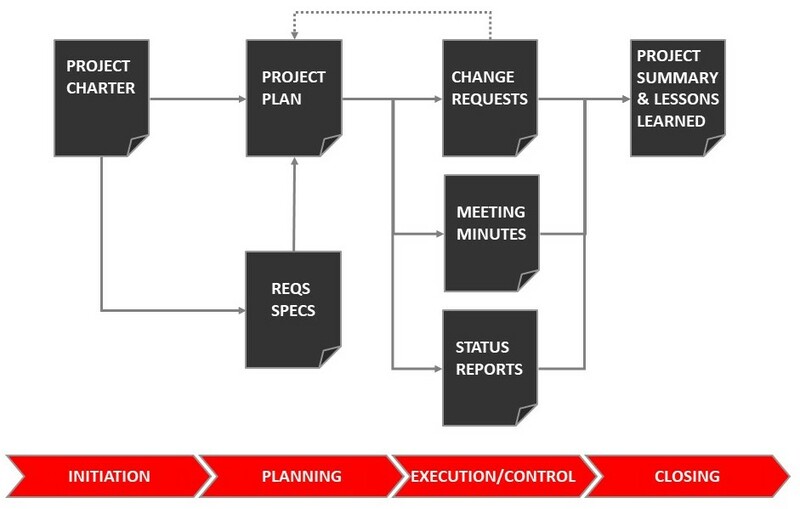 Do you still have to justify the existence of project management to your stakeholders? What tricks/examples do you use? Please leave your comments below. Article - What are the Key Documents on a Project? So, Jamal, what are your deliverables as a Project Manager? What should we expect from you and when? And every damn time I go to the nearest white board and draw the following diagram (see Figure 1). Some time in 2005 as part of preparations for a (highly controversial but nevertheless successful) bid for the 2018 FIFA World Cup the government of Russia decided to build a brand-new soccer stadium in Saint Petersburg. The building phase started in 2007 with the government allocating US$268 million for the construction of the stadium. Interestingly enough the construction that was initially supposed to end in March of 2009 continues until now, with “some cosmetic changes to be finished soon”. As of right now the stadium is astonishing 518% late and 548% over budget (see Tables 1 and 2). Unfortunately there are no official reliable sources of information regarding the root causes of these failures. 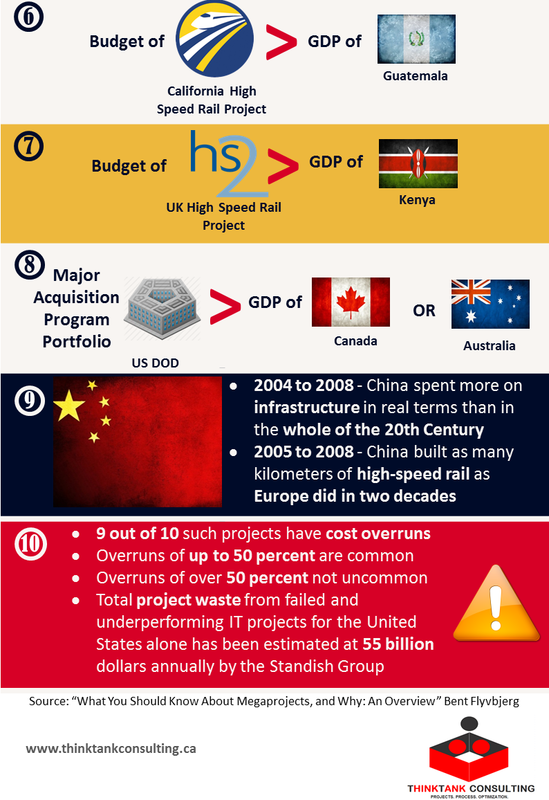 However, based on the reports of various newspapers there were two major causes of delays, cost overruns and quality issues: poor planning and rampant corruption. Some of the issues encountered during the construction of the Krestovsky Stadium. Article - How to Explain Quality to Your Project Stakeholders? There comes a time in a life of a project manager when he (or she) has to sit down with his stakeholders – who are not necessarily well-versed in the art of project management – and discuss the touchy subject of the future product’s quality. S: Oh, only the best of the best would work for us! S: You don’t understand! At this company we don’t just settle for mediocre products or services. Look! It is in our mission statement! Premium - Something a bit more sophisticated that will do the job, but will also provide additional attributes. Luxury - Something very sophisticated that will not only do the job required, but will also provide a multitude of additional options. Honda Civic – Basic, but very reliable car that is guaranteed to get you from point A to point B. Cheaper and requires only basic maintenance. Lexus – Also a very reliable car. Also will get you from point A to point B. Has some cool gadgets and widgets that will make any owner happy. Ferrari – Very expensive vehicle. Looks amazing and costs a lot of money. Has a plethora of cool features. Maintenance will cost you an arm and a leg. If this feature was a car, what model would you pick: a Honda Civic, a Lexus or a Ferrari? 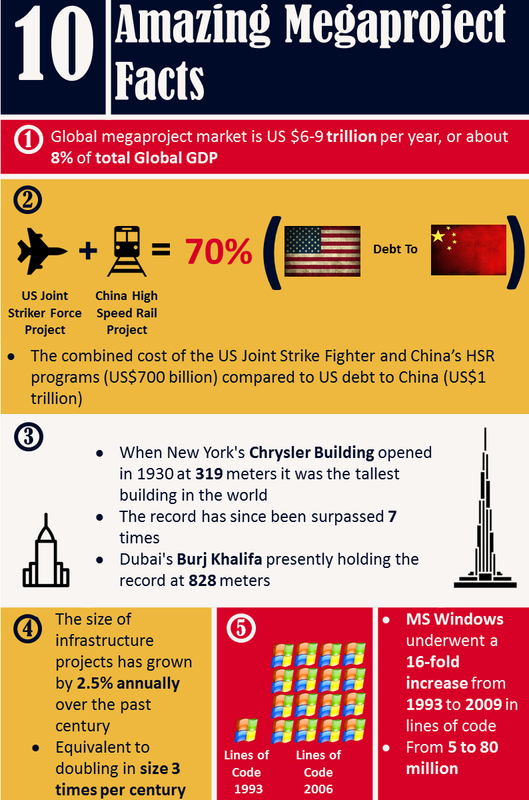 Fact #8 just blew me away! Next time someone says that project manager is not a profession but just a set of administrative (aka secretarial) skills, share this with him/her! Article - How to Deal with Fake Job Posts? Article – Dear Recruiter, Please Learn the Basics!